Connected Business is the #1 Unified Business Management Solution: ERP/Financials, CRM, eCommerce, Point of Sale, Mobile, Connected Warehouse, MRP (Manufacturing Resource Planning), Telephone Integration, Marketplaces, Fulfillment, Marketing Tools and More. The Connected Business tour is broken up into the various modules and apps that make up the Connected Business solution. Each section includes a brief overview video as well as videos that highlight specific feature and functionality. We hope that you enjoy the tour and encourage you to reach out to our sales team with any questions you may have. BSS offer a wide range of web design and development services globally. Whilst our main area of online business is eCommerce development and integration with Accounts and Content management Systems we cover everything Internet related. 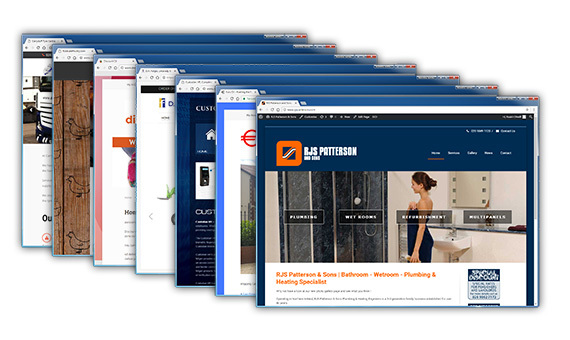 We can design, build and integrate the perfect website to suit your businesses needs and requirements. We listen to our customers and are keen to maximise their success online. Together with any Web Design or eCommerce project we offer CRM, SEO, Online Consultancy, Corporate Identity Design, Email, Hosting, Reporting and Analytics. Take our Connected Business eCommerce TOUR Click option 3. BSS has a team of Professionals who are experts in their particular areas. With years of experience and by combining expertise we are confident we can handle whatever technical challenges that arise. Our team covers areas like programming, ERP Ststems, eCommerce & Web, Hardware, Networking and Support. Using telephone and remote login support many problems can be resolved but we also offer an on-site solution. Consultancy, training, security, continuity assessments and solutions are also available. Custodian HR's preferred Biometric partner is the Korean company Nitgen. Nitgen provides extremely reliable, robust, highly functional fingerprint devices which can also be used for an access control solution. The products are in use by numerous governments across the world for voting and border control. 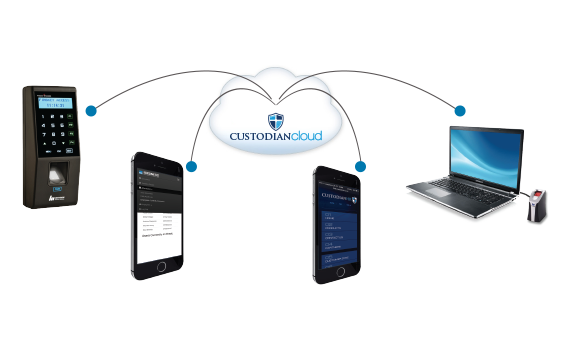 Custodian HR has different user access levels and is made up of 5 distinct modules. These are Time & Attendance, Job Costings, Compliance, Alerts and Rostering. These can be used as a fully integrated package, or only the required modules can be selected. The Connected Business Telephone Integration Package allows customers to enhance their experience of Connected Business and also to improve their customers experience. 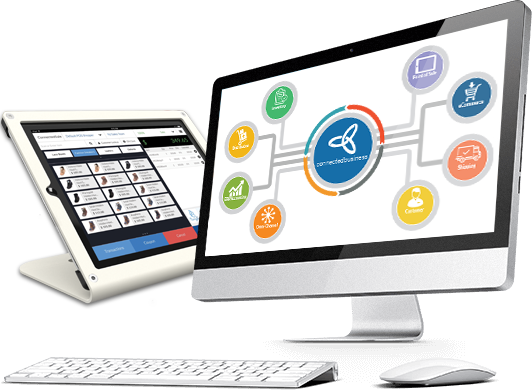 The telephone integrates with the Connected Business database of phone numbers and will display the customer’s name and details when they phone in by poppingan interactive information screen. This allows staff to know who they are talking to and account information without a long Iist of qualifying questions. The MRP package uses all the ERP Benefits & Features of Connected Business and caters for Assemblies with multiple Sub-Assemblies and numerous products and can create Works Order direct from the Sales Order. Every page within your website in Connected Business has the ability to contain parts of the SEO alograthim including Page Title, Keywords and Page Description. Entering this into the correct fields could potentially take days or even weeks. The new Automatic SEO tool intelliSEO actually populates all of these sections in minutes by taking the information from the Item descriptions, Categories, Manufacturers etc to help build the overall Optimisation. It can be run at any time should a product description change or a new product is added. 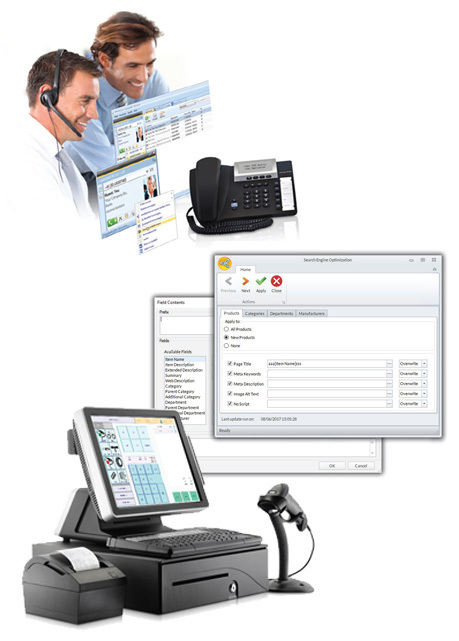 The Trade Counter Add-In for Connected Business is a robust smart integration front end EPOS best suited to businesses that are supplying products to the trade and where discretion is allowed to the sales assistants to view cost, amend margin by amounts or percentage and change inclusive of Vat prices. It has been used by Building Suppliers, Tyre Companies etc for their EPOS Solution and is fully integrated with Connected Business. The Batch Receipts / DD Add-In allows customers to program repetitive customer payments. It caters for either run payments or direct debit payments, for set amounts or the due amounts according to customer credit terms. The plugin will post the receipts which can be varied and may also create an EDI file for banks to be uploaded. Unlimited templates can be created to cater for Runs, Weekly DD's, and Monthly DD's etc. It is very easy for busy individuals to miss vital information on a product,category or images etc. The aim of Product Checker is to make the missing information easier to spot without spending a lot of time browsing web pages or getting customer complaints. Product Checker shows all of the products in one screen with all of the relevant information. It allows one click access straight into the products to make edits or additions. Take a look through the videos on Connected Business by toggling through the small squares underneath the video opposite. BSS has a team of professional and experienced programmers who produce programs for business applications using tools like Visual Basic, C#, SQL and other mobile and web based tools. We can design, write, test and implement the most complex programs or Addins. BSS have specialised lately in writing Addins to be used globally for the #1 Unified Business Management Solution, Connected Business and are proud to be their preferred Addin Partner. 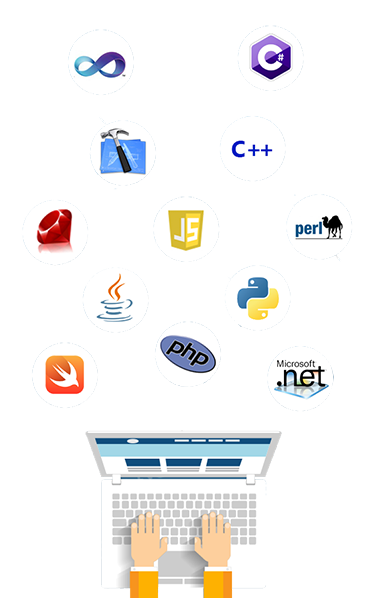 We have alot of experience in using SDK's, API's, Restful API's and web services. Many of our products are used by clients across the world. If you think we can help you and your business please feel free to contact us.